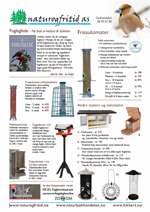 Ny feltguide for dette stadig mer populære området å besøke for ornitologer. Basert på Birds of the Middle East, 22. ed, men med nye kart og flere nye plansjer. Forfatter Aspinall, S.; Porter, R.
Fotos - illustrasjoner 102 f-pl. Simon Aspinall has lived in the UAE since 1993, pursuing his professional interests in conservation and ecology throughout the Middle East and Caucasus. He has published extensively on natural history, especially within Arabia and with an emphasis on birds; traveling widely in that quest he has probably seen more species in the region than any other modern-day birder. Richard Porter has been involved with birds in the Middle East since 1966 and is an adviser on bird conservation for BirdLife International. He is the author or co-author of several books on the Middle East and the groundbreaking Flight Identification of European Raptors. John Gale, Mike Langman and Brian Small are world-renowned bird illustrators with many books to their credit.